Which do you choose? Pumpkin pie or apple pie? Save a few calories, and a few grams of fat, and go for pumpkin. 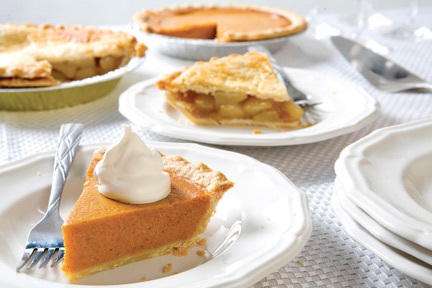 Both pies have some redeeming qualities – vitamins, fiber and antioxidants in both the apples and the pumpkin. But the real reason pumpkin wins is because apple pie has that top layer of crust. Eating a slice of pumpkin pie is like eating an open-faced sandwich – you consume fewer carbs.